Gibson, R. D., Jones, C. K., & Schalau, J. W. (2016). Vertebrate Pests. In Arizona Master Gardener Manual (Revised) (p. 60). Tucson, AZ: UA CALS Press. Schalau, J. W., Jones, C. K., & Gibson, R. D. (2017). Vertebrate Pests. In Arizona Master Gardener Manual (Revised) (p. 60). Tucson, AZ: UA CALS Press. Gibson, R. D. (2013). Worker Safety. In Smartscape Manual (p. 37). CALS Cooperative Extension. Tessman, D., Gressley, K., & Gibson, R. (2013). Straw Bales as a Planting Medium. Journal of Extension , 51, Article # 6TOT10(6), 3. Tessman, D., Gressley, K., & Gibson, R. (2013). Straw bales as a planting medium. Journal of Extension , 51(6). Abstract: The childhood obesity epidemic in America is a national health crisis (Let's Move, 2008). Areas across the nation exist with low access to healthy food by either being low income or more than a mile from a supermarket. Gardening has become a popular route to provide access to healthy foods. However, arid conditions and poor soils in the Southwest contribute to an on-going and challenging effort to grow fresh food supplies. To alleviate these problems, Extension agents teach that straw bale gardens offer an easy planting medium with multiple advantages. © 2013 Extension Journal Inc.
Wilson, P. N., & Gibson, R. D. (2000). The economics of agriculture in the Maricopa-Stanfield Irrigation and Drainage District in Central Arizona. Irrigation and Drainage Systems , 14(1-2), 121-138. Abstract: The economic performance of a Central Arizona Project irrigation district is determined by the economic condition of the growers the district serves and the underlying financial structure of the district. In the case of the Maricopa-Stanfield Irrigation and Drainage District, adverse economic conditions in the agricultural sector and a high debt obligation relative to water sales called into question the financial sustainability of the district. District management took positive steps, like the Management Improvement Program (MIP) and department restructuring, to improve the economic performance of the water delivery system. These actions relied on the shared understanding of the water interdependencies between agricultural and urban users which was obtained through the Diagnostic Analysis of the MIP. Gibson, R. D. (2017, April 28). Plant Pathology . Payson Master Gardener Training. Payson, AZ: Gila Cooperative Extension. The presentation was basic training in plant pathology concepts. Gibson, R. D. (2017, August 23). Plant Diagnosis and Problem Solving . Desert Botanical Garden Lecture. Phoenix, AZ: Desert Botanical Garden. The lecture presented information to students about the process and methods of in the field plant problem diagnosis and treatment. Gibson, R. D. (2017, February). Principles of Vegetable Gardening in the Desert . Maricopa Library Lecture Series. Maricopa, Pinal County, AZ. Gibson, R. D. (2017, January). Growing Citrus in the Low Desert . Event. Phoenix, AZ: Desert Botanical Garden. Gibson, R. D., & Gibson, R. D. (2017, February). Growing Deciduous Fruit in the Low Desert . Event. Phoenix, AZ: Desert Botanical Garden. Gibson, R. D. (2016, April). Caring for Trees and Shrubs . Arbor Day Celebration - Casa Grande. Casa Grande, AZ: City of Casa Grande and Daughters of the Americal Revolution. 10 minute presentation on tree care and a recitation of the poem, "Trees"
Gibson, R. D. (2016, Fall). Garden and Landscape Short Course - Maricopa Ag Center . Master Gardener Training. Maricopa Agricultural Center: Cooperative Extension. I taught 8 out of 16 sessions, including botany, soils, irrigation, cacti and succulents, plant pathology, and diagnosis, each a 3 hour interactive lecture for a total of 27 hours instruction. Gibson, R. D. (2016, February). Integrate Pest Management for Landscape Trees . Tree Health Seminar. Maricopa Agricultural Center: Cooperative Extension. 20 minute presentation during a seminar for professional landscape workers. Gibson, R. D. (2016, February). Principles of Vegetable Gardening in the Desert . Robson Ranch Gardening Seminar. Eloy, AZ: Robson Ranch. Gibson, R. D. (2016, January). Diagnosis of Plant Problems . Garden and Landscape Shortcourse. SaddleBrooke, AZ: Pinal County Cooperative Extension. Gibson, R. D. (2016, January). Solving Landscape Problems . SaddleBrooke Nature Club Meeting. SaddleBrooke, AZ: SaddleBrooke Nature Club. Gibson, R. D. (2016, November). Overview of Applied Plant Pathology Principles . Master Gardener Inservice Training. Tucson, AZ: Cooperative Extension. I taught 1 segment of a 3 hour inservice training. Gibson, R. D. (2016, Spring Sessions). Botany, Soils, Arboriculture, Plant Pathology, Plant Diagnosis . Master Gardener Training. Apache Junction, SaddleBrooke, Casa Grande: Cooperative Extension. Gibson, R. D. (2016, Spring). Garden and Landscape Short Course - Casa Grande . Master Gardener Training. Casa Grande: Cooperative Extension. I taught 8 out of 16 sessions, including botany, soils, arboriculture, IPM, irrigation, composting, xeriscape principles, plant pathology, and diagnosis, each a 3 hour interactive lecture for a total of 27hours instruction. Gibson, R. D. (2016, Spring). Garden and Landscape Short Course - Superstition Mountain . Master Gardener Training. Apache Junction, AZ: Cooperative Extension. I taught 4 of 16 sessions, including botany, soils, plant pathology, and diagnosis, each a 3 hour interactive lecture for a total of 12 hours instruction. Gibson, R. D. (2016, Spring). Plant Diagnosis . Pinal County Master Gardener Conference. Maricopa Agricultural Center: Cooperative Extension. Gibson, R. D. (2016, Summer). Plant Diagnosis . Cochise County Master Gardener Conference. Sierra Vista, Arizona: Cooperative Extension. Gibson, R. D. (2016, Winter). Botany, Soils, Arboriculture, Plant Pathology, Plant Diagnosis . Master Gardener Training, Pinal County. Maricopa, San Tan Valley: Cooperative Extension. Hauser, M. W., Peters, C. L., Apel, M. B., Martinez, C. L., & Gibson, R. D. (2015, December). Completing Your APR . New Faculty Orientation. Tucson: Cooperative Extension. Gibson, R. D. (2012). Fruit Tree Pruning Lecture and Demonstration . Fruit Tree Pruning Lecture and Demonstration. Maricopa, AZ. Gibson, R. D. (2012). Gardening in the Desert . Anthem Ranch-Florence Garden Club.. Florence, Arizona. Gibson, R. D. (2012). Plant Propagation Lecture and Demonstration . Plant Propagation Lecture and Demonstration. Maricopa, AZ. Gibson, R. D. (2012). Salsa Garden Lecture and Demonstration . Master Gardener organized, City of Maricopa. Maricopa, AZ. Gibson, R. D. (2012, January). Soils and Plant Nutrition Master Gardener Training . Pima County Master Gardener Basic Training. Tucson, AZ: Pima County. Gibson, R. D. (2012, October). Organized and presented a full day of training for Pinal County Master Gardener volunteers . 1st Annual Pinal County Master Gardener Conference. Coolidge, Arizona. Gibson, R. D. (2011). County-wide Diagnostic Team Training . Gibson, R. D. (2011). School Garden Assistance . Florence, AZ: Florence High School. Gibson, R. D. (2011, January). Master Gardener Update Sessions - Maricopa . Master Gardener Update Sessions. Maricopa, AZ. Gibson, R. D. (2011, January). Master Gardener Update Sessions - Maricopa . Master Gardener Update Sessions. SaddleBrooke, AZ. Gibson, R. D. (2011, October). Organized and presented a full day of training for Pinal County Master Gardener volunteers . Master Gardener Training Tour. Tucson, Arizona. Gibson, R. D. (2013, September). Managing Multiple Master Gardener Working Groups in a Large Diverse County . Galaxy IV Conference. Pittsburg, PA: National Association of County Agricultural Agents. Gibson, R. D. (2017. Five Basic Rules of Botany. University of Arizona Cooperative Extension. YouTube video of a three-hour basic lecture given to Master Gardener interns in Pinal County, Arizona. Run time 2 hours, 8 minutes with a total of 12,786 views at this time. Gibson, R. D. (2017. Master Gardener Series - Basic Aboriculture. Arizona Cooperative Extension. YouTube channel video presentation designed to provide Master Gardener volunteers with the basic concepts of the topic. Run time: 2 hours, 43 minutes. 611 views to date. Gibson, R. D. (2017. Master Gardener Series - Basic Pruning. Arizona Cooperative Extension. YouTube channel video presentation designed to assist Master Gardener volunteers to learn basic concepts. Run time: 2 hours, 33 minutes. 1,109 views to date. Gibson, R. D. (2017. Master Gardener Series - Plant Pathology. Arizona Cooperative Extension. YouTube channel video presentation designed to provide Master Gardener volunteers with the basic concepts of the topic. Run time: 2 hours, 13 minutes. 919 views to date. Gibson, R. D. (2017. Master Gardener Series - Soils, Water, and Plant Relations. Arizona Cooperative Extension. YouTube channel video presentation designed to provide Master Gardener volunteers with the basic concepts of the topic. Run time: 2 hours, 2 minutes. 2,063 views to date. Gibson, R. D. (2017. Master Gardener Series - Turf. Arizona Cooperative Extension. YouTube channel video presentation designed to provide Master Gardener volunteers with the basic concepts of the topic. Run time: 1 hour, 47 minutes. 173 views to date. Gibson, R. D. (2017. Master Gardener Series - Vegetable Gardening. Arizona Cooperative Extension. YouTube channel video presentation designed to provide Master Gardener volunteers with the basic concepts of the topic. Run time: 2 hours, 23 minutes. 567 views to date. Gibson, R. D. (2017. Master Gardener Series - Weeds. Arizona Cooperative Extension. YouTube channel video presentation designed to provide Master Gardener volunteers with the basic concepts of the topic. Run time: 2 hours, 18 minutes. 103 views to date. Gibson, R. D. (2017, January - December). Desert Gardening News Column. Casa Grande Valley Newspapers, Tri-Valley edition. Gibson, R. D. (2016, January - December). Desert Gardening News Column. Casa Grande Valley Newspapers, Tri-Valley edition. Gibson, R. D. (2016, January through December). Pinal County Garden and Landscape Newsletter. Gibson, R. D., & Gibson, R. D. (2016, January through December). Pinal County Garden and Landscape Newsletter. Gibson, R. D. (2015, July). Plant Your Tree in the Right Location. Cooperative Extension. Gibson, R. D. (2014, December). Pinal County Master Gardeners Serve Their Communities. Golden Corridor Living Magazine. Magazine published quarterly. Pg 88. Gibson, R. D. (2014, January - December). Desert Gardening News Column. Casa Grande Valley Newspapers, Tri-Valley edition. Gibson, R. (2012, Fall). Dealing with Soil Compaction. Pinal County Horticultural Fact Sheet, 2012-04. University of Arizona Cooperative Extension, College of Agriculture and Life Sciences. Gibson, R. (2012, Fall). Gardening for Fitness. Pinal county Horticultural Fact Sheet 12-01. 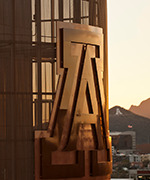 University of Arizona Cooperative Extension, College of Agriculture and Life Sciences. Gibson, R. (2012, Fall). Growing Gardenias in the Desert. Pinal County Horticultural Fact Sheet, 2012-04. University of Arizona Cooperative Extension, College of Agriculture and Life Sciences. Gibson, R. (2012, Fall). Growing Herbs in Containers. Pinal County Horticultural Fact Sheet 12-02. University of Arizona Cooperative Extension, College of Agriculture and Life Sciences. Gibson, R. (2012, Fall). Tecoma Leaf-tier. Pinal County Horticultural Fact Sheet 2012-05. University of Arizona Cooperative Extension, College of Agriculture and Life Sciences. Gibson, R. (2012, March). Growing Gardenias in the Desert. Gibson, R. (2012, May). Tecoma Leaf-Tier. Pinal County Horticultural Fact Sheet 2012-05. Gibson, R. D. (2012, Fall). Tri Valley Insert. Casa Grande Dispatch. Tessman, D., Gressley, K., & Gibson, R. (2012, Fall). Straw Bale Gardening Tips. University of Arizona Cooperative Extension. Gibson, R. D. (2011, Fall). Tri Valley Insert. Casa Grande Dispatch. Gibson, R. D. (2010, Fall). Master Gardener Newsletter. Master Gardener. Gibson, R. D. (2010, Fall). Overseeding Bermudagrass Lawns With Annual Ryegrass. Pinal County Horticulture Fact Sheet 11-03..
Gibson, R. D. (2010, Fall). Pinal County Garden and Landscape Newsletter. Gibson, R. D. (2010, Fall). Planning a Drip Irrigation System. Pinal County Horticulture Fact Sheet 11-02. Gibson, R. D. (2010, Fall). Understanding Fertilizers. Pinal County Horticultural Fact Sheet 11-04. Gibson, R. D. (2010, Fall). Water Conserving Landscapes for the Low Desert of Pinal County. Pinal County Horticultural Fact Sheet 11-01. Created to help teach xeriscape concepts..